A lot of early-stage startups are looking for skilled co-founders in the technical, business, or marketing area. At the same time, skilled people are looking for startups to become part of. 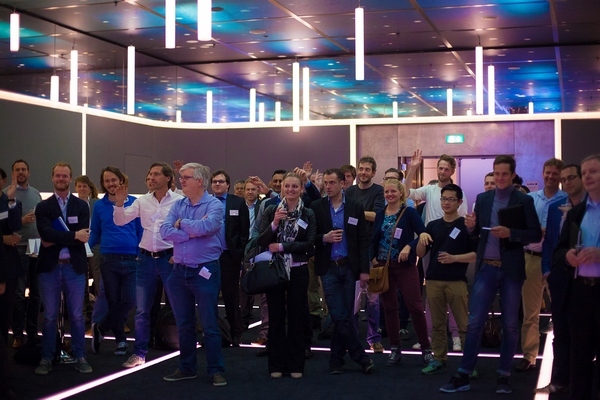 In Utrecht, startups and potential co-founders came together and went on a speed date. UtrechtInc, together with IT-magazine Computable, organized the event ‘Meet your Co-founder’ in the Jaarbeurs in Utrecht. Centrally located right next to the train station, this proved to be an ideal location to attract people from all over The Netherlands. Sebastiaan Hooft, serial entrepreneur, mentor and one of the speakers that introduced the event, has some advice: “One of the most critical aspects of a successful startup is a strong team”. As a founder you have to be able to find a suitable co-founder, to hire people and to keep those people with the company. And, possibly, somewhere down the line you also have be able to fire people. According to Hooft you should approach the search for business partners as if you are dating them. And so there they were, 45 startups and 64 potential co-founders (a mix of entrepreneurs, investors and business developers) gathered in one room, ready to speed date. The early-stage startups, wearing a red name tag. Like Mark Mensink, who founded local twitter-powered journalism startup CityTweet. Mensink has done most of the work himself and CityTweet is functional and growing. He is now looking for specialized people to become more professional and to secure further growth. Hugo Messer, CEO of Ekipa, a marketplace for software teams, is looking for marketing people. The last few months, Ekipa had a hard time finding the right persons, using the usual methods. He thinks the concept of Meet your Co-founder is intriguing and hopes to find a match here. Maurice van Tongeren, founder of Yold (Young & Old), a startup that aims to connect different generations by learning people about history. Yold is in the early stages of development and is looking for technical people with a background in video. Just minutes later, the people were escorted to the next room, the bar. Here, with a broad selection of drinks and snacks, the event indeed got more informal. Looking to become a co-founder, and wearing a black name tag. One of them is Zainescu Traian, a skilled developer, who is looking to start developing for a startup. Even though technical people are sought after, Traian has discovered it’s not so easy to find a reliable business partner. Also, a developer has to commit almost all of his time to one project, while the person with the idea can have several projects at once. This means developing for a startup does involve more risk than working for a corporate. He hopes to find the right match here in Utrecht at Meet your Co-founder. Daan Assen, founder of StarterSquad, is looking for online startups to develop, fund and help to grow. 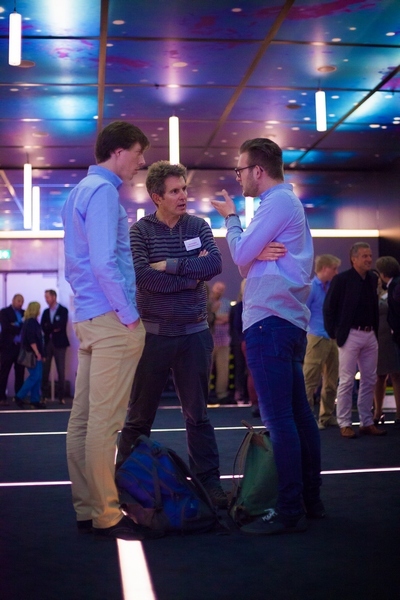 And StarterSquad also needs skilled people to work for those startups, so Assen had a busy time talking with everyone at the event. For most people attending Meet your Co-founder, this was a new kind of experience. Speed dating instead of pitching is less formal, and gives you a chance to speak with a lot of people in a short amount of time. We are looking forward to learn how many startups and co-founders were successfully matched by this event. 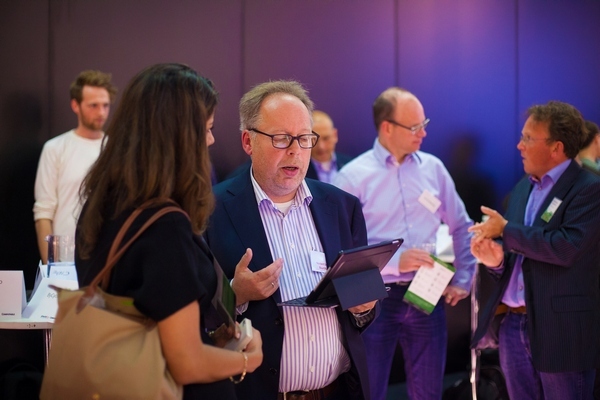 By attracting people from cities as far as Enschede and Rotterdam, this kind of event proved to be in high demand and a follow-up event is to be expected. UtrechtInc also advises people to use matching site Founder2be to find potential co-founders between live events.